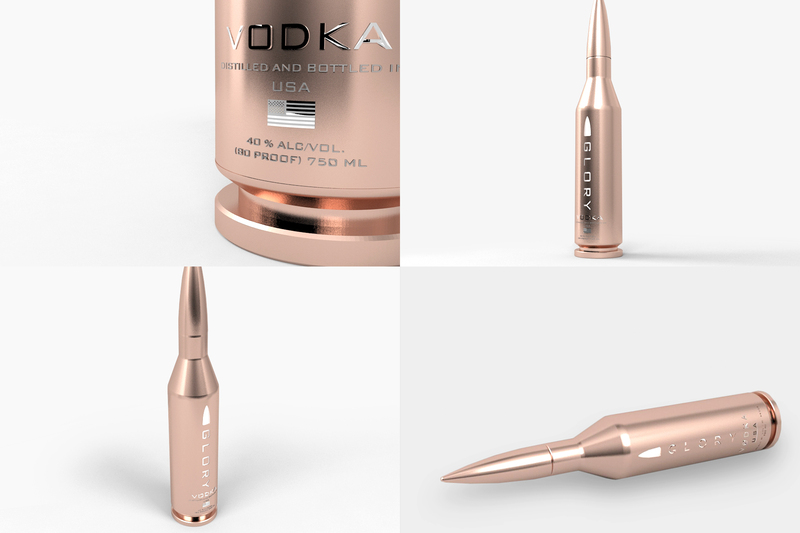 Born in the Magic City is this American-made ultra premium spirit for those who live fast, take risks and strive for the sweet taste of Glory. 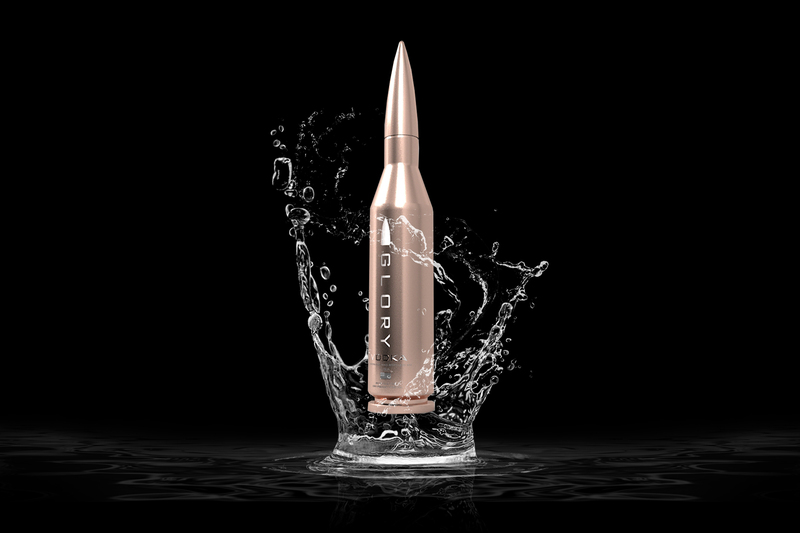 Created out of a true passion for premium vodka, Glory Vodka exepmplifies complexity in its simplicity. 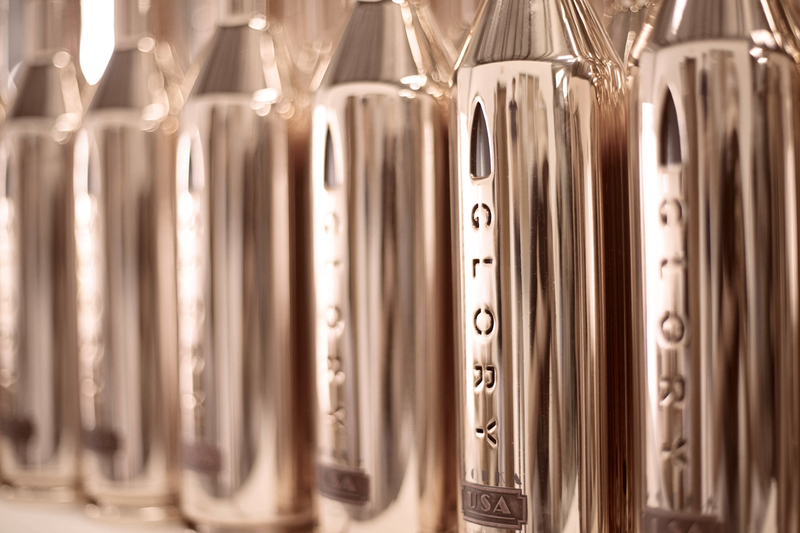 Glory Vodka is unique, with a level of sophistication that no other American-made vodka has reached. 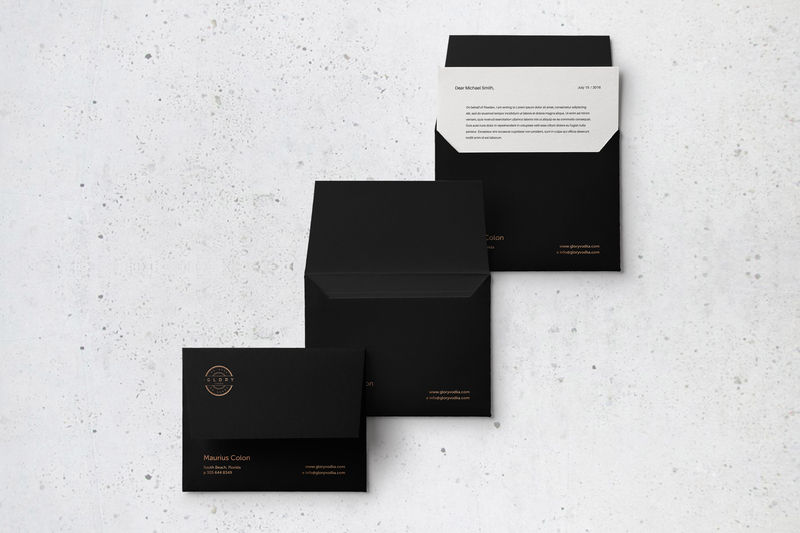 We worked to create a brand image that showcases its bold nature. 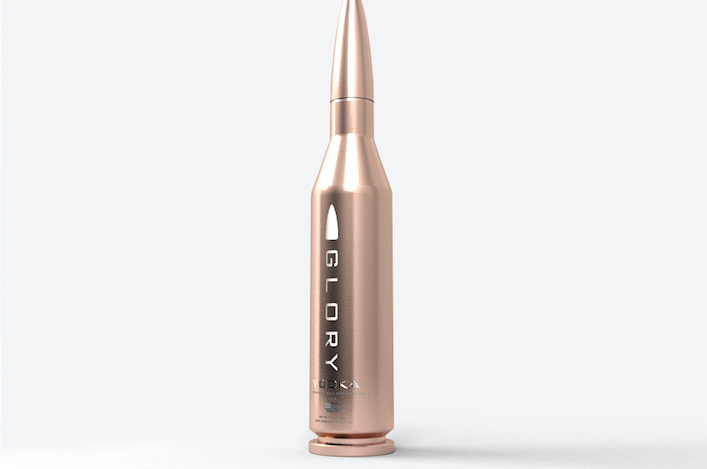 Encased in a rose gold bullet, Glory Vodka is bold, unique and sophisticated. 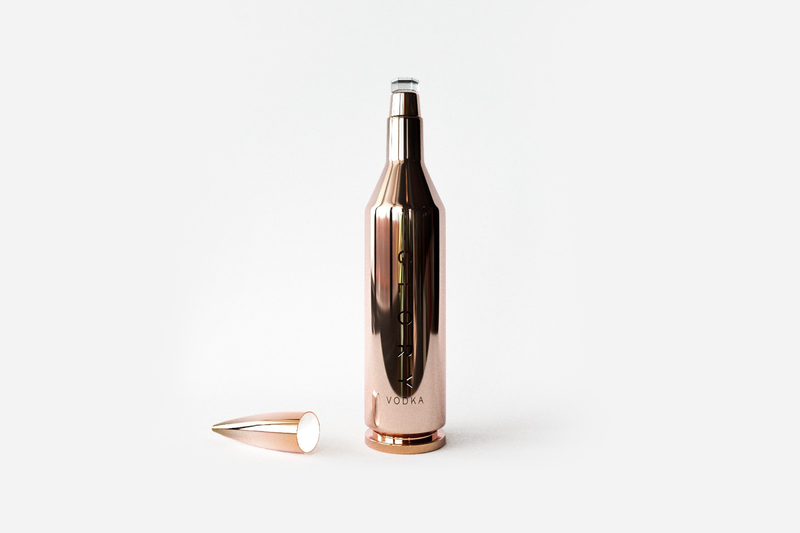 The bottle signifies the act of reloading; reloading life, reloading enjoyment and reloading your night. When designing the logo, it was important for us to channel these juxtaposing elements of action and composure. The clean lines of the lettering pierced by a bullet accomplish that. Clean, simple, meaningful. 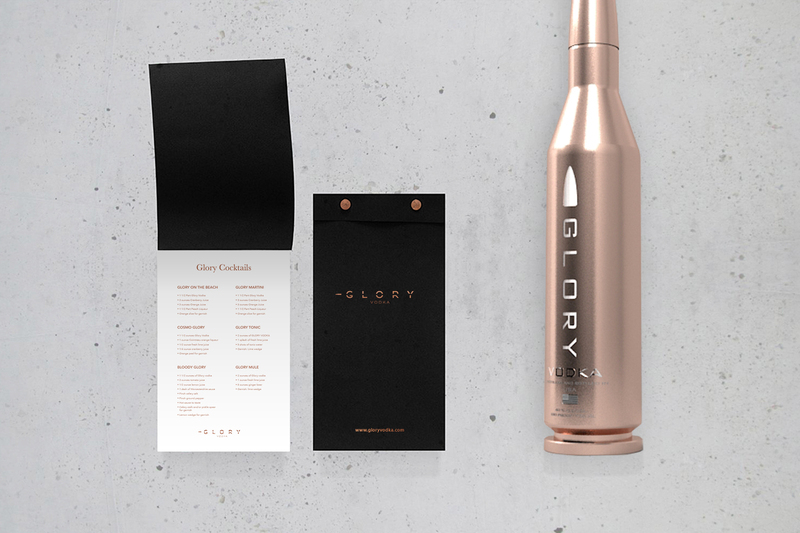 With a bottle as special as Glory Vodka’s, conceptualizing and designing packaging is like framing a work of art, so to speak. The goal is to create something equally as exceptional, without taking away from the art at hand. 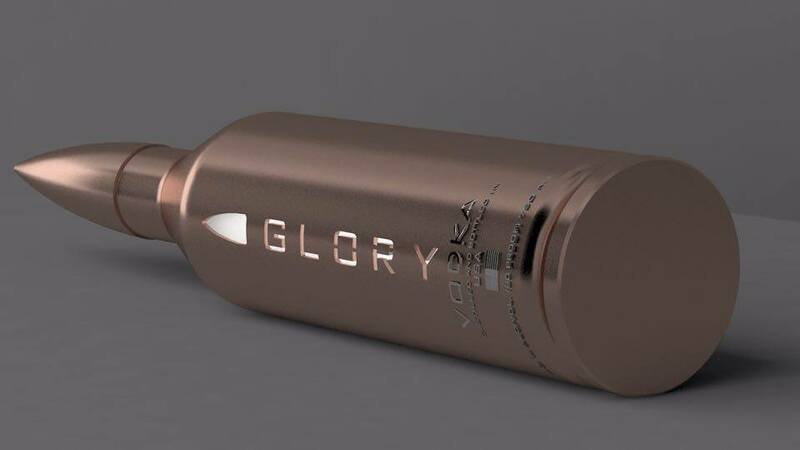 And we did just that by framing Glory with textured packaging contrasting the rose gold bottle and complimenting the sleek presentation.